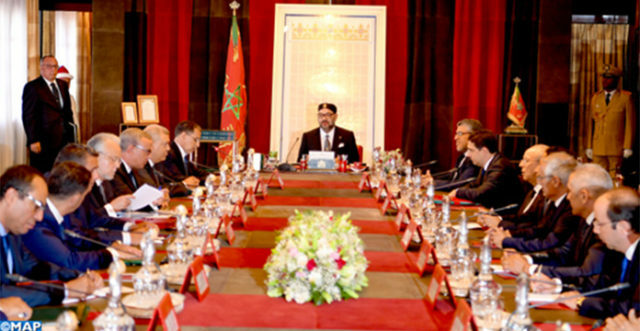 Rabat - The ministerial council chaired by King Mohammed VI on Monday pinpointed the King’s priorities, calling for more efforts to overcome Morocco’s social and economic challenges. Rabat – The ministerial council chaired by King Mohammed VI on Monday pinpointed the King’s priorities, calling for more efforts to overcome Morocco’s social and economic challenges. The council was held in the Royal Palace of Rabat prior to the King’s speech on the 65th anniversary of the Revolution of the King and the People. The spokesperson of the Royal Palace, Abdelhak Lamrini, read a statement following the ministerial council. Lamrini’s statement, which was televised after the royal speech, listed the major points discussed during the meeting. At the beginning of the meeting, Head of Government Saad Eddine El Othmani and Minister of the Interior Abdelouafi Laftit gave a presentation on the general orientations of the state’s policy for administrative decentralization. 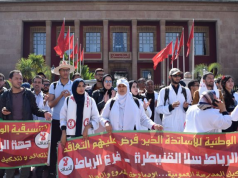 The presentation followed King Mohammed VI’s repeated calls for his government to reform the administration to improve the quality of services within Moroccan public institutions to serve the demands of Moroccan citizens. 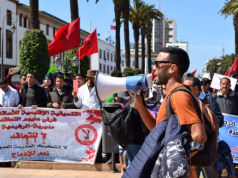 The measure, according to King Mohammed VI, is a necessary and urgent project that aims to advance regionalization, promote economic and social development, encourage investment and job creation, and improve the quality of social services. According to the statement, the policy also defines the principles and new rules that govern relations between the central and decentralized administration in order to guarantee effective management and ensure coherence between public policies. The King reiterated his stance on the importance of education and training for the country’s development. During the meeting, the officials approved a draft framework law on the country’s education, training, and scientific research. The projects envision an irreversible reform of the national education system. The project also falls within the King’s renewed recommendation for ownership of the reform and collective and serious support for its implementation. The main points of the project include the establishment of a new school open to all capable of serving and guaranteeing quality education for all. 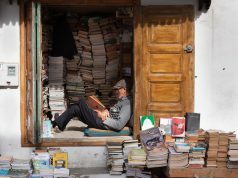 The King urged the government to introduce a new educational model to develop the learner’s capacities as well as to encourage critical thinking and creativity. The ministerial council asserted that successful conditions for the reform would be guaranteed if there was an institutional mechanism to monitor its implementation. 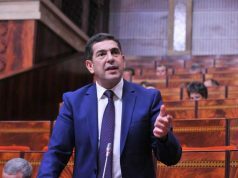 The measure, according to the statement, is part of the strategic vision 2015-2030, which is the result of a national consensus and a broad dialogue involving the parties concerned.